GM1-gangliosidosis is an inherited metabolic disease caused by mutations in the GLB1 gene resulting in deficiency of β-galactosidase. Three forms have been identified: Infantile, juvenile, and adult. The infantile type progresses rapidly and aggressively and a delayed diagnosis hampers the prevention of many neurological deficits. This delay in diagnosis may be due to the variability of clinical expression of the disorder. Extensive Mongolian or slate-grey spots deserve special attention as possible indications of associated inborn errors of metabolism, especially GM1-gangliosidosis and mucopolysaccharidosis. Only symptomatic treatments are available for GM1-gangliosidosis; research is underway. In this article, we report a case of infantile GM1-gangliosidosis revealed by slate-grey Mongolian spots, a rare condition in Morocco, and a review of the literature. 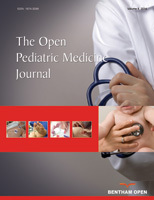 The finding of persistent and extensive slate-grey mongolian spots in infant could lead to early detection of GM1-gangliosidosis before irreversible organ damage occurs. Keywords: GM1-gangliosidosis, Metabolic disease, Mongolian spots, Slate-grey spots, GLB1 gene, Mucopolysaccharidosis. © 2019 Draïss et al.